Even we sometimes make mistakes with our money! These are the big purchases our team wishes it could take back. Here at DealNews, we pride ourselves on finding the best deals every day and sharing them with our readers. But we're only human! Sometimes we make splurges, and they're totally worth it! And sometimes... they're not. We collected stories from our colleagues about those times they shelled out the big bucks and ended up regretting it. Read on to learn from our mistakes, and consider sharing your own story in the comment below! So before my next trip, I spent around $300 on a shiny new GoPro, memory cards, extra batteries, and all that jazz. The first day of the hike, I set out with it attached to my backpack, confident that I was going to make movie history. It turns out that by lunch I realized that I was more focused on filming than having a good time. That night, I packed it all up and haven't used it since." We wound up watching most of the game by looking up at the live video on the scoreboard. So it was like watching it on TV... but with the added benefit of getting a neck cramp. What a waste." "My story can be easily summed up in the above picture. I can't think of one title I specifically regret buying. (I dodged the No Man's Sky pre-order hype train.) In aggregate it does paint a bit of a picture of more money than time or interest. I kind of regret owning 186 games I've never played. Although $9.15 per hour of entertainment sounds like an okay deal to me." "Have you seen the board games still shrinkwrapped in my office? (Spoiler: There's a LOT.)" "Two years ago I purchased a brand new bike after making it my mission to learn to cycle properly. As I'm very short I had to spend a good bit extra to get a women's XS frame, too, which bolstered the bill more significantly than I would have expected. Plus, I needed all those cool accessories if I was going to be great at cycling — the helmet, lights, lock, hipster basket, etc. It didn't work. Now, $400, two years, and many scrapes and bruises later, I still can't turn left on the thing and it's been abandoned to my shed. Lesson: Do not buy a pricey new bike unless you can definitely cycle said bike." SEE ALSO: What Kind of Road Bicycle is Right for You? "I was on a trip for work in Chicago in the early '90s and wandered into an art gallery. 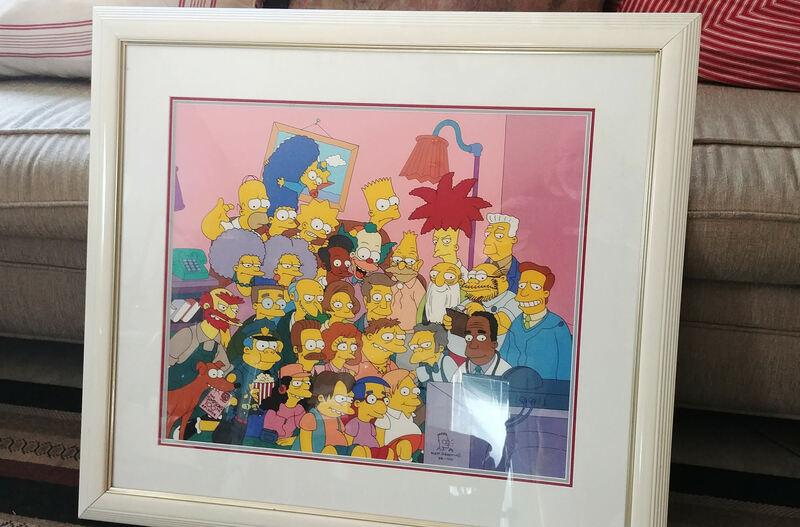 There on the wall, I spotted this huge, limited edition animation cell from The Simpsons, commemorating its 100th episode. (Only 200 were made... 100 for sale to the general public, another 100 for cast and crew of the show.) 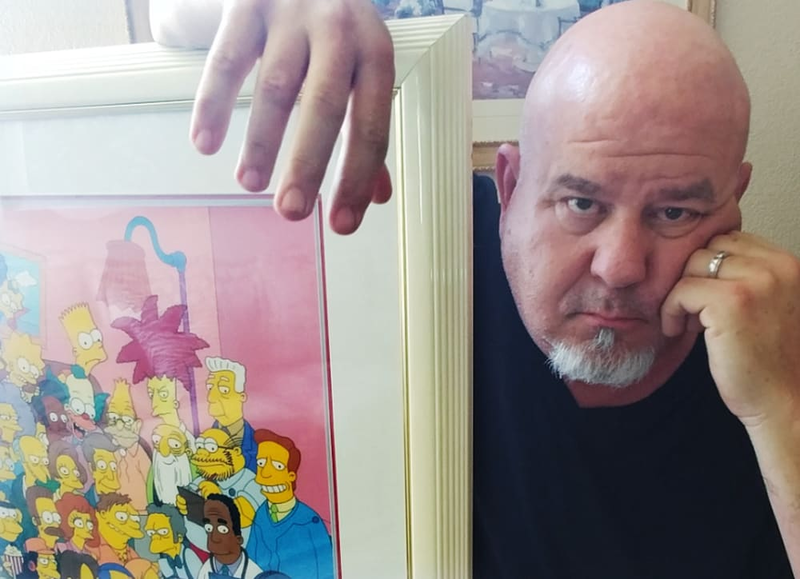 It was signed and numbered by Matt Groening (the creator of The Simpsons), and also had a small, hand-drawn Bart by his signature. It was $3,500 (more than I'd ever spent on a single piece of art at the time). I'm sure it must have been the jet lag, but I bought #99 of 100, thinking it HAD to skyrocket in value. It didn't. I lost interest in The Simpsons and the 36" x 36" piece is now sitting behind my door in my office mocking me. I saw one online about six months ago, selling for $500. Not one of my finest art purchasing moments." "Many years ago, I was tasked with taking a visiting colleague around the city. She wanted to get her hair done at Frederic Fekkai Soho. I figured 'OK, no problem, I'll read a magazine and people watch,' as Frederic Fekkai was waaaay out of my price range. People getting fashionable hairdos, pumping music, a fun vibe — I was practically outside of myself as I approached the desk to see if they had any open appointments. But I quickly became intoxicated by the excitement of people getting fashionable hairdos and pumping music. The next thing I knew, I was walking out of there minus $300, with a haircut I would never be able to maintain. I think they maybe snipped two pieces of hair, and they had a separate person for the hair washing, the cutting, and the blow drying — and of course I had to tip them all. I have never been back and refuse to buy any of their products." "Back in 2014, my husband and I shelled out $300 each to get involved in the Alpha levels of an MMORPG. To be fair, it came with other perks. We were also first in Beta, and got a 2-week head start on the servers before they went public, among other things. But that game very quickly became a pay-to-play situation, plus there were awful server issues, and we only ended up playing for just over a year. Needless to say, we learned our lesson there." "One year while working the Black Friday sales, I stumbled across a pair of super chic, super expensive studded heels that I couldn't stop thinking about. I was convinced they would make me look like an effortlessly cool New Yorker. So, despite my better judgement — I haaaaaaaaaate heels — I bought them. Technically they were $250 off, so who cared if they were still more than I should be spending? When they arrived, I tried them on and immediately realized I probably couldn't stand in them for longer than a few minutes. But I was in denial for awhile, and I would regularly pull them out of the closet and pet them like something precious. Finally, last month I decided to get rid of them, and I couldn't even get someone to pay $50 for them on eBay. I ended up putting them on the street for someone in Brooklyn to take and inevitably never wear. I think I maybe left the house in them ONCE." "Two years ago I totally splurged on a car that I've always wanted. I broke the bank buying it (against the advice of my parents), even though it was over 10 years old. I was so happy when I got the keys and drove away with a silly grin on my face. It rained the following few days and the car began to spring leaks from every nook and cranny, leaving the interior of the car resembling a kid's paddling pool! I then had to spend nearly the same amount I had spent on the car in repairs. I semi-regret the splurge." "A year and a half ago, I got Invisalign. And while I don't regret it, I do wish I'd gone about it differently — I might have saved thousands. As it's an elective procedure, my insurance didn't cover everything, so I knew going in I'd pay for everything out of pocket. The problem is, it never occurred to me that Invisalign was something you could shop around for, or even haggle over. I assumed it was a set price. But aside from the cost of the plastic aligners, the price of your Invisalign treatment is determined by your dental provider. It can vary based on location, the severity of your problem, and amount of time adjustments will take, and the experience level of your provider (those who handle more Invisalign cases usually charge more). Instead, I just went to the orthodontist at the dental practice I'd used for years, and I said yes to the first Invisalign price he offered. I even got a discount for making a large down payment. To be fair, my orthodontist did strongly encourage me to get traditional braces instead, which would have been much cheaper (and faster as well). It never occurred to me that Invisalign was something you could shop around for, or even haggle over. When I later heard that different practices charge different amounts, I checked what the averages were in my area. My orthodontist definitely charged at the very top of the price range, but I was relieved to see it was still within the average. It also didn't occur to me that there were alternatives to Invisalign in terms of invisible, removable teeth straighteners. There seem to be some startups like Smile Direct Club that are much more affordable. I don't think I would have entrusted my teeth to a mail-order service anyway, but I still wish I'd at least thought to explore affordable alternatives to the name-brand option. Overall, paying more was probably worth it for such an investment — my treatment went very smoothly and was quite effective, and didn't require any additional corrections. But I learned a valuable lesson, and won't take for granted the prices quoted on medical procedures — especially when they cost as much as a decent used car." "I had gotten a refurbished Neato robot vacuum from Amazon a few years ago and it wasn't working properly, so I contacted Neato for a replacement. The replacement I got was also a piece of crap, so I got another one. The second replacement was so bad that two screws came out from inside and it started making horrible noises. I didn't even bother to get my last one repaired, as the warranty had run out and I'd lost total confidence in their products. I just tossed it out. Neato suggested that it might have been the battery that was causing the noise! There might have actually been another replacement before the second-to-last one but all I can say is that I have given up on refurbished Neato robot vacuums. I didn't even bother to try to get my last one repaired, as the warranty had run out and I had lost total confidence in their products. I just tossed it out. I have since splurged on a non-refurbished Roomba 860 — so far, so good!" Readers, what kind of splurges have you made that you now regret? Share your stories in the comments below! Don't do it. Your experience *might* be fine. 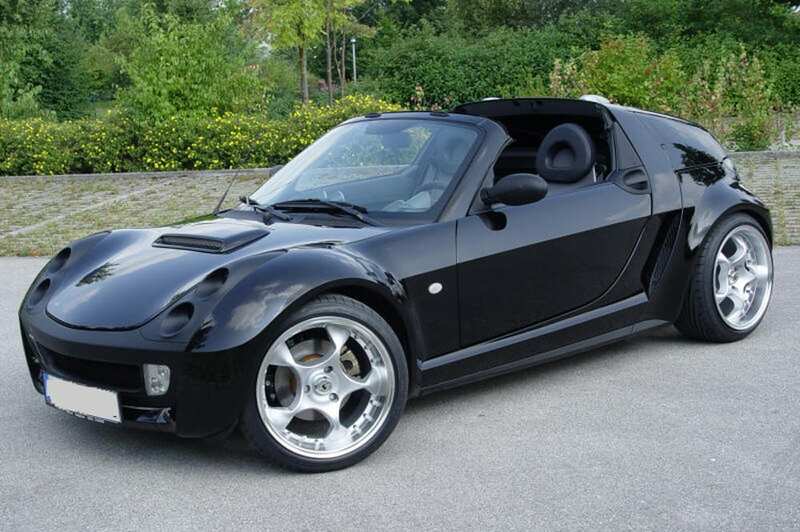 But if you have a problem and are not mechanically minded, good luck. Go to a reliable bike shop. You might pay a bit more, but not that much more... and maybe not any more. And you'll typically get a free tune up within the first year. And proper care after that. My grandkids are learning to ride a bike and want me to ride with them. I saw a $129 bike at Walmart on clearance for $50. Added a speedometer to it and have put over 600 miles on it so far. I'm thinking I got the better end of this one. $400 is not very much to spend on a "good" road bike and accessories. For $400 you can't even get a really good bike - unless it's used. Encyclopedia Britannica. I had always wanted a set growing up but mom could never, ever afford something like that. So, a couple years work under my belt, I send in the postcard, the salesperson shows up and I spend $3500 on the deluxe version and a few hundred more for annual updates on something that looks pretty but I have not used and was shortly replaced by the internet. I think you can basically get the whole thing on DVD now for about $50. By the way, how do you get those steam stats? Wondering what I spent on my 2,242 games. Although many are from bundles. I guess those dollars would not be included. Don't buy a house with a pool! Unless you're in the market for one...Have I got a deal for you! @adollar98: If you received a defective unit, you can't blame yourself. @Betty C & @allyson: Nice. I've been using an old HP laptop running Windows 7. Bought a souped up (w/SSD) Lenovo running Windows 10. I've been unable to figure out how to transfer anything from the old to new computer. We'll review our guide to make sure it includes the context you just provided for us. I bought a bike from one of the Dealnews features. It said "If you don't like it for any reason, just send it back no questions asked." Well the bike had faulty bearings. That's when I found out how hard it is to disassemble and repack a bike. That wasn't bad enough; the next thing I learned was how much it costs to ship a bike (over $250). That was as much as the bike cost in the first place but I was so angry by this time, I sent it back anyway! I wish I didn't have to learn everything the hard way. I took my family to Disneyland. We spent thousands getting there and nearly $2,000 on park passes and then over an hour in line for the Peter Pan ride. We now call it getting "Peter Panned" when we get robbed by an experience that turns out to be a complete bomb. Later that day we were also "Peter Panned" by the Autopia ride. I regret my fantastic parents spending money on me as a child. @Achille M.: I don't think your car really fits in this category. You were victimized by an unscrupulous seller; it sounds like there wouldn't have been much down side to this purchase if the car hadn't required major repair after you bought it. Perhaps our mutual love for Dealnews is spurred on by memories of similar splurges! I'll have to agree with Dreadalus! I really enjoyed the article. I really don't care about the comment someone had on [the non-]random purchases (Splurges, which is in the title, would likely not be deals). I thought the comment was going to be about regrets that the commenter had about not being able to be constructive or contribute to the discussion. That would have been interesting. At the very least, I'm counting on you all at Dealnews to help turn future splurges into controlled savings :) and with Allyson's advice, no regrets! Very disappointing article. I really don't care about the regrets you had on random purchases. I thought this was going to be about regrets that staffers had about items they purchased on Dealnews. That would have been interesting. Maybe the biggest things you should think about is (1) how much are you willing to spend [perhaps think of a "spending cap"] and (2) can you wait a day or two to see if you're still "dying" to buy whatever it is you want. Sometimes waiting will damper the urge to splurge.Also, know your shopping habits. For myself, if I can't make up my mind about buying something, it usually means I don't want it as badly as I originally thought I would. Very entertaining article. I guess we've all, 'been there, done that.' But in the case of the Neato vacuum, I bought a refurbished Neato D75 from Amazon last July for $189. It has worked flawlessly. Bought one for my aging mother and her's has been flawless, also.